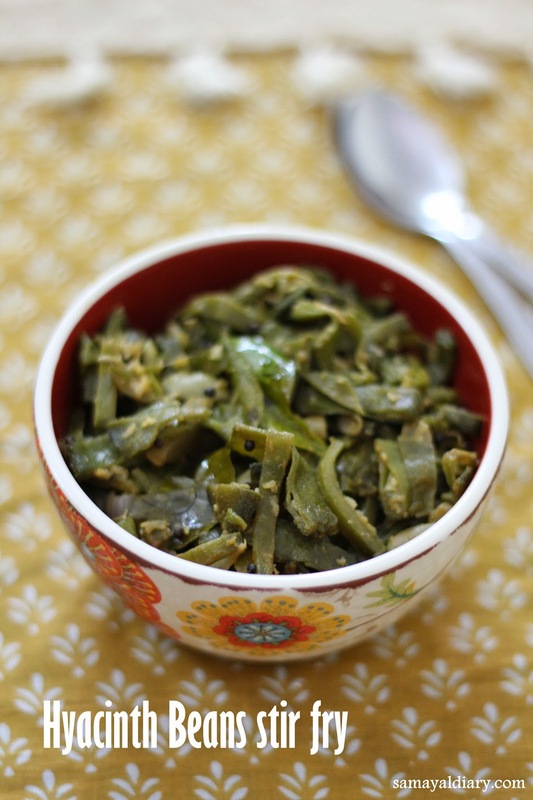 Hyacinth Beans or Indian Beans (Avarai / Avaraikkai) is one of the favorite vegetables among us. Even my toddler son likes this a lot. Of course, he needs curd rice along with this. After my delivery (and other surgeries), my doctor asked my mom to serve me rice with rasam and less hot Avaraikkai poriyal. That day I realized it how good is this beans to our body. I thought it must be easily digestible and does no harm to recently operated me. From then on, I always value this beans much more than earlier. Chop the beans and Pearl Onions. Heat Oil in a Pan. When hot, add the Mustard seeds. 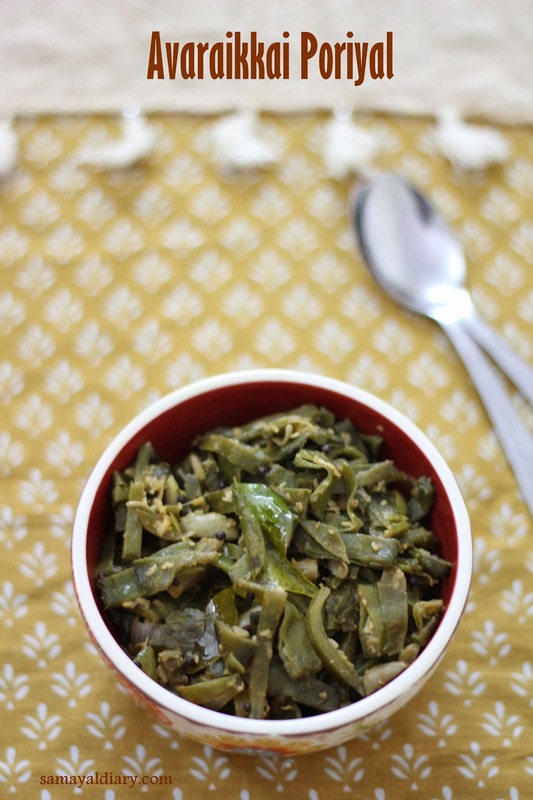 When they start popping up, add Urad Dhal, Curry leaves and Pearl Onions. Fry till the Onions turn translucent. Now add the chopped beans, Sambar Powder and Salt. Mix well. Fry for a while and then add 1/4 cup of water. Cook till the beans gets cooked and the water evaporates. Now add the grated coconut. Fry for few more seconds until done. Serves with Rice and any Curry. 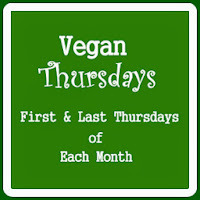 Linking this recipe to Vegan Thursdays, initiated by Priya of Versatile Recipes. 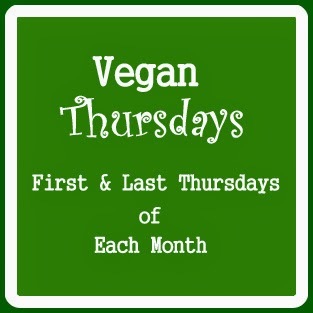 We are a group of bloggers who share only vegan recipes during first and last thursdays of every month. To know more, click here. This one is my favorite veg too. Stir-fry looks delish, goes very well with dal rice.